Engineered by experienced product specialists. The best place for abrasives in the tri-state area. 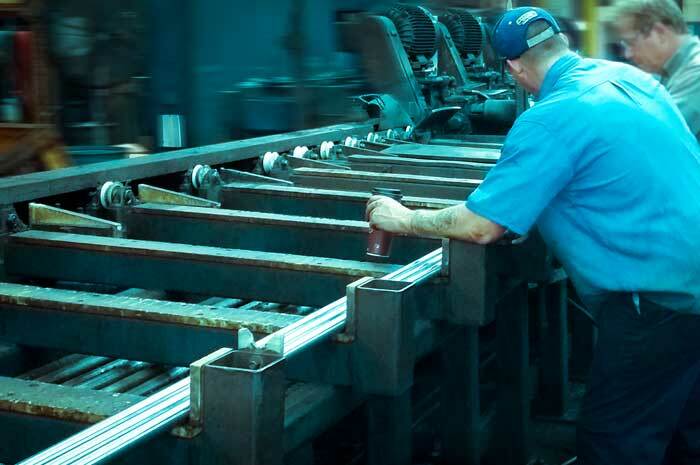 We work with your company’s representative to create a custom order that will solve surface issues and facilitate the production of new products. Our of team Abrasives Specialists are available to travel to your business or shop. We help you select products and recommend improvements for optimal efficiency. 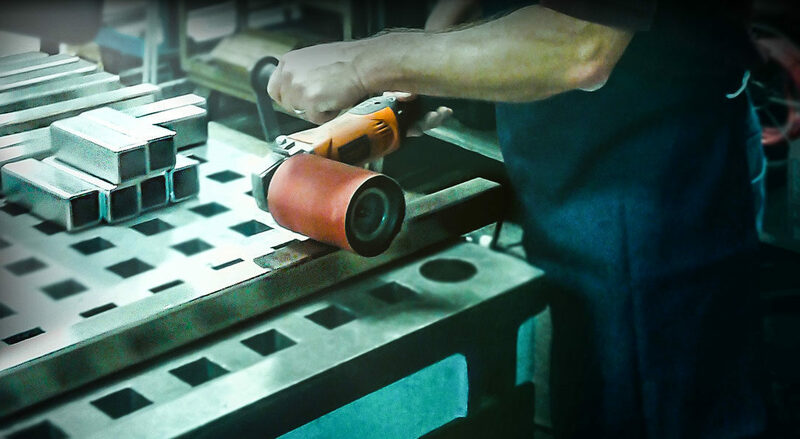 With over forty years of experience, we have educated, time-tested answers on abrasives. We know the exact product that will best fit your project. We’ll help you create an order and select products that will allow you to improve your operations. Our team of senior level specialists guiding clients on how to reduce waste and improve efficiency while reaching their target finish. Full Supply In-stock & Ready to Ship — Reliable Delivery Guaranteed! 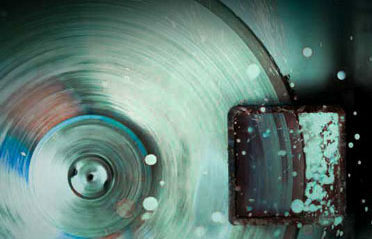 We offer cutting edge abrasives solutions. Our unrivaled products are delivered directly to your location from the nearby Fullmer Warehouse. Here is the Fullmer Industrial Sales plan of action. ✓Our company is fully dedicated to developing long-term relationships with our customers. We do this by focusing on providing value with our products, service, and support. 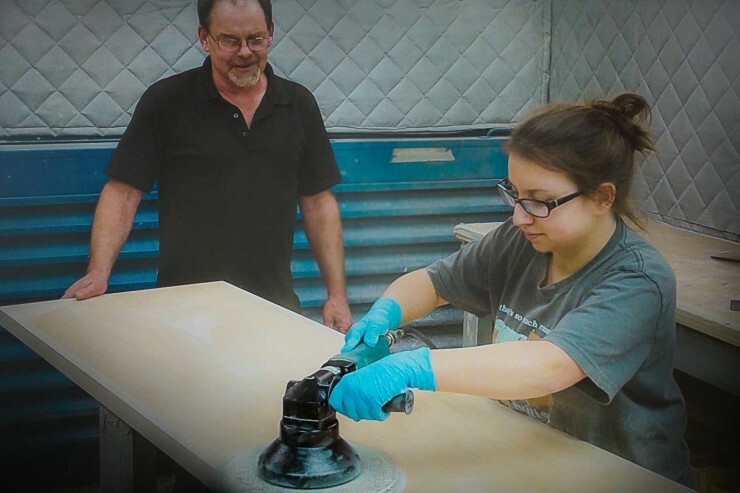 Our goal is for our customers to have confidence that their grinding, sanding, and finishing requirements will always be met, and that any new project, issue, or concern will be addressed immediately and satisfactorily. >> Our customization process means you will achieve professional results. Our information has been field tested and client satisfaction approved. 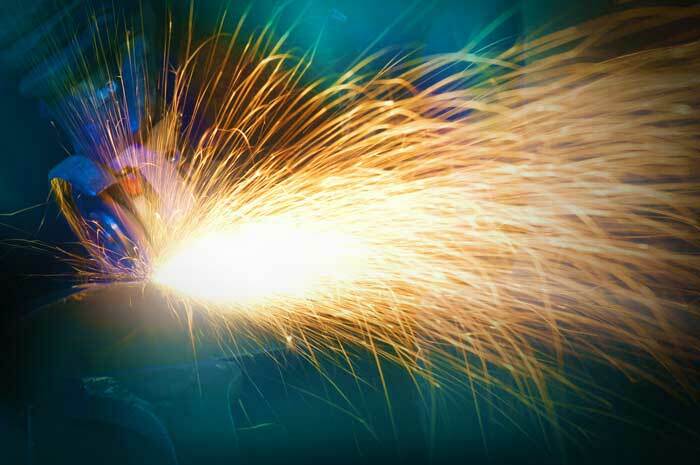 We assess the system or finishing process for optimal efficiency when using our abrasives. Our experts provide user training and live demonstrations on-site. We are reliable, honest and willing to go the extra mile. Achieve a flawless finish— we offer assistance every step of the way. Our company is built on integrity and personable customer service. 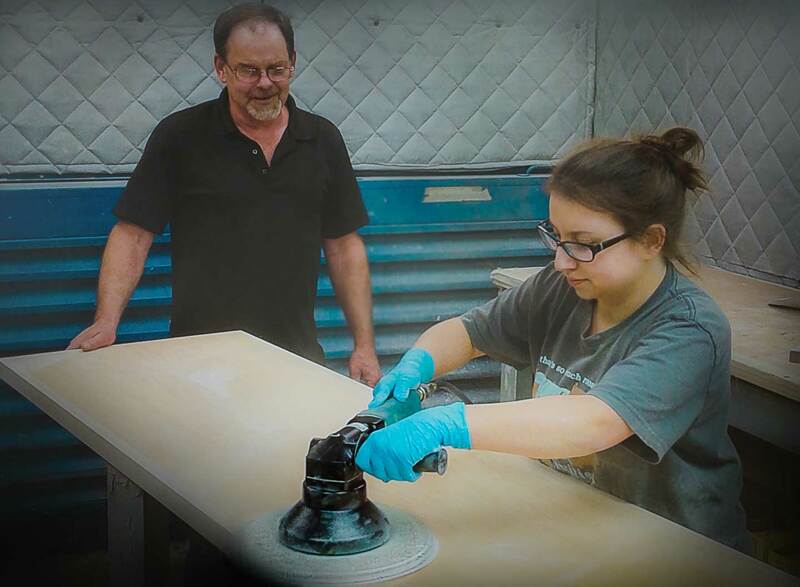 We make projects possible by matching the abrasives product to the job. We produce residential stainless steel kitchen sinks. A robotic process on one of the large scale welders left a burn mark in a highly visible area. Three to four sinks per day had to be eliminated, costing thousands of dollars in waste. Fullmer quickly installed a simple process to remove the burn mark and save 100% of the sinks. We had a large job to do in a very short time frame. A touring music act needed a refinished acrylic stage for their tour only two days away. Fullmer completed the project ahead of schedule and under budget while the musicians were on Christmas break. Thank you Fullmer, for going above and beyond. When we introduced our popular custom line of bamboo cabinets, we wanted to find the most professional polished gloss finish. 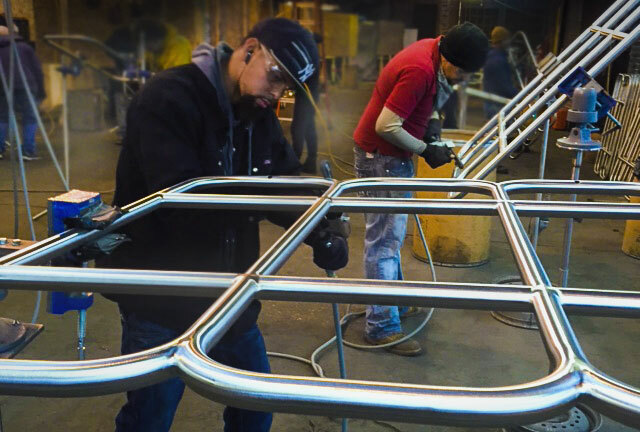 Fullmer Industrial Sales engineered a process that produced the finish we were hoping for in less steps and with few defects, leading to a high margin product! 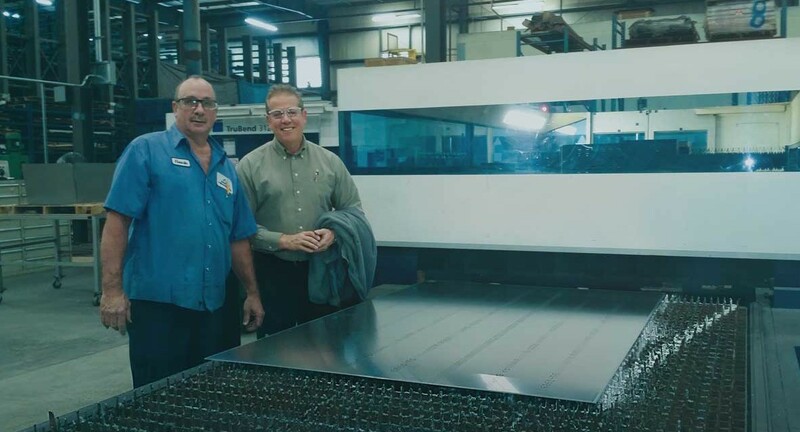 Fullmer Industrial Sales installed a belt grinding machine for us that accelerated the process of resharpening gigantic blades for commercial and residential use. The overall quality of the sharpened finish was enhanced significantly, and the processing time is now five times faster! Processing steel tubing through grinding to a high polish is difficult, and inconsistencies were causing an abundant amount of rework. Fullmer introduced an entirely new form of abrasives belt which increased our production rate by 300% and virtually eliminated defects! We needed a high luster polished finish for a line of products that required metal stamping. Through handling, some units were sent back to repair scratches, but many needed to be scrapped. Fullmer Industrial Sales installed a process that allowed us to fix the damages and reduce waste, saving us time and money. When a fire truck water cannon came into us oversized, Fullmer was there to grind down the outside dimensions to quickly fix the issue. Not only were the results uniform over a twenty foot long piece of pipe, the surface was polished to an extremely high level! 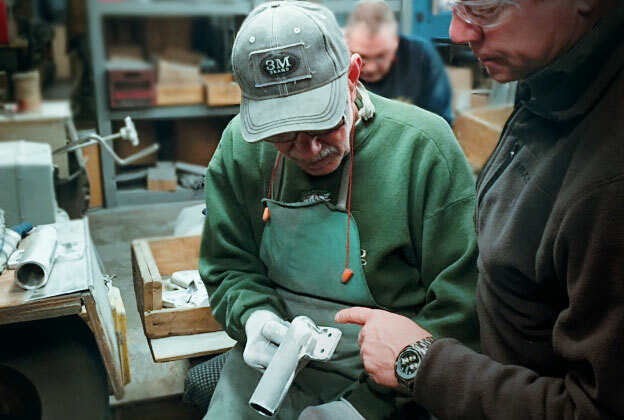 They even worked directly with our custom matching builder to engineer our machinery. We rely on Fullmer Industrial Sales. We are a large kitchen cabinet manufacturing company that recently developed a new line of highly polished cabinets. When the product became extremely popular and in-demand, we couldn't keep up with the orders. Fullmer stepped in to show us tools and abrasives that cut the processing time in half. Thanks to Fullmer Industrial Sales, we were able keep up to date with our deliveries and keep customers satisfied! Copyright © 2019 Fullmer Industrial Sales. All rights reserved.